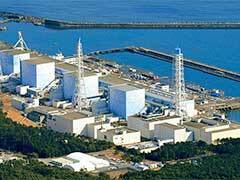 Thirteen years ago, the projected goals for nuclear energy in Japan were moving forward at lightning speed. The expansion of nuclear power plants was part of their country’s long term goals, with little thought that things would change. After the 2011 earthquake and tsunami, all those plans have made a complete turnaround. Most of us are only aware of the information about the nuclear disasters in Japan, based on what we saw in the news. Western news feeds try to offer the best data, but once the story got old, we saw less and less of it. The true situation could only be understood if you were actually there. The radiation leaks and problems that continue to plague various parts of Japan and its people, have brought all of the nuclear plans to a complete halt. The horrors of nuclear power that were previously only in movies and books shook the country of Japan to its core and the repair, clean up and health considerations will probably continue for the next ten years. Just going to the update websites is an incredibly revealing experience. The government offers information on just about every aspect of the condition of the various nuclear power plants affected. There are fact finding missions, damage experts, and reports on the integrity of the power plants themselves. Only the news reporters, with their boots on the ground, give you the true story from the people’s standpoint. The damage was bad enough, but the country has made some drastic decisions not to pursue nuclear energy as a resource. Given the fact that Japan is in the center of two converging plates, and earthquakes are a constant way of life, one might wonder why they considered nuclear energy to begin with. For that answer, you have to know the Japanese, as they are meticulous and detailed and in their minds, they had taken all safety aspects into consideration. It’s another example of no matter how much planning was done, mother nature inevitably wins the battle. Posted on July 3rd under Renewable Energy Sources. As humans, we are destined to put glory before danger and profit before truth. This was once only considered a Western attitude, but now it’s everywhere. What kind of logic is there in creating an energy source that is expensive, totally volatile and leaves behind radioactive residue that needs to be store in mountain retreats for millennia? This situation was absolutely horrible for those poor people. I watched on tv when they showed entire towns abandoned due to radiation. All of us that have been saying for years that nuclear power plants are bad business never wanted this to happen, but the worst did. Finally, Japan has come to their senses, it is just so sad that it took something like this to shake up everyone, everywhere. This could have and almost did happen in our own country. At least Japan had the excuse of an earthquake, the U.S. didn’t, just poor construction and planning. One major disaster could leave the world crippled for centuries. We need to have more of the information and updates on the news to keep this as a warning to the rest of the globe.